It’s the “news” that no one wants to hear about: sexual abuse happening in the nursing home (aka long-term care facility) where your loved one lives. While some types of nursing home abuse have been highlighted over the years, sexual abuse, specifically, has largely remained a hidden problem nationwide, unfortunately allowing it to continue at alarming levels. This occurrence is largely due to several factors, including the configuration of the reporting system, which arguably allows sexual abuse complaints to be buried in with every other type of abuse that affects that elderly and disabled, as well as incentives to bury the issue in an effort to avoid negative repercussions on nursing homes as a business. In addition, many friends and family members often simply find it difficult to believe that anything like this could actually take place; many simply not wanting to believe that an older person (could or) would be sexually assaulted or raped. And yet, the inspection reports paint a very different reality: one federal program alone has catalogued more than 20,000 complaints of sexual abuse at some of these facilities over a 20-year time span; that’s an average of three complaints per day. And what about all of the many incidents that never get reported? What about incidents that involve a resident abusing another? No one really knows just how much of this is going on, as the only information being collected still doesn’t include resident-on-resident abuse. Even when it is both reported and documented, regulators often fail to do enough to stop the abuse and prevent its future occurrence. The state records of facilities closed supports this contention: that licensed for long-term care facilities aren’t revoked frequently enough. Often, facilities aren’t even inspected once per year, and if/when state inspectors spot problems, don’t even have basic penalties provided for by law assessed against them. On the rare occasion when sexual abuse is discovered in a facility, regulators appear to be taking milder actions than necessary when it comes to preventing further abuse (such as simply requesting the home operator to “offer a plan of correction”). This includes failing to take any action against residents who sexually assault other residents. 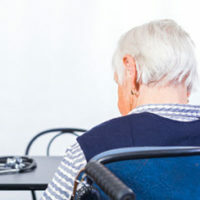 Some have indicated that training more and more citizen volunteers to step up and visit nursing homes under federally mandated ombudsman programs in each of the states could help provide some advocacy for these residents. Yet, given the hundreds (or thousands) of care facilities that exist in many states like Florida, many facilities will still never see an ombudsman volunteer because there simply aren’t enough to go around. In addition, the state also needs to arm these volunteers to be able to do something about what they see: for residents that suffer from dementia, for example, it can be difficult to spot and address sexual abuse in these homes. If you suspect that a loved one has been neglected or abused in a nursing home—or, conversely, if you have been subject to abuse—our trained nursing home abuse attorneys at Friedland & Associates can help. Contact us in Fort Lauderdale today for a free consultation and we’ll discuss your rights and options.